This link will take you to the page where the school search box is located. Just input the school name in the search box and the school's administrators, phone numbers, and address are located. If you are interested in becoming an AHSAA official in the sports of Baseball, Basketball, Football, Soccer, Softball, Track, Volleyball or Wrestling, feel free to contact either Mark Jones or Vanda Peppers at the AHSAA office. The phone number is 334-263-6994. 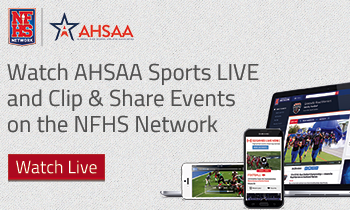 Email addresses are: mjones@ahsaa.com or vpeppers@ahsaa.com. All officials with the AHSAA must go to arbiter sports https://ahsaa.arbitersports.com to register in each sport you plan to officiate with the AHSAA. You then contact a local association and express your interest in joining their organization. You must be a member of a local association in each sport you officiate. You will then be required to watch an online clinic and pass (80 or better) a registration exam in order to be cleared to officiate each sport. In order to complete the registration process and be eligible to officiate AHSAA member school contests, you must make a passing score of 80 on this exam. In order to complete the registration process and be eligible to officiate AHSAA member school contests as a Restricted official, you must make a passing score of 70 on this exam. If you have any further questions about this information, please call us at 334-263-6994. Application and Registration Process (While Taking The High School Officiating Class) All students who are interested in officiating with the AHSAA while taking the course will need to inform the course teacher. The teacher will notify the AHSAA and send in a roster to the AHSAA. The roster will need to include: Student’s Name, Age, Sport Interested In and Local Association Name. The AHSAA will begin the Registration process working with the teacher, students and the local association. If you have any questions about this information, please call us at 334-263-6994. Championship watches and rings are available to officials that have called in the following events: Football Super Seven, Basketball State Finals, Baseball State Finals, Softball State Finals, Volleyball Finals, Soccer State Finals, and Wrestling State Championships. Wearing one of these unique watches or rings serves as a lasting reminder that an official has reached the level of expertise and excellence required for selection to work at the highest level of championship competition in the AHSAA program. The rings have been designed exclusively for the AHSAA officials program by Balfour Company. For style information and pricing, contact Robert Shaw at 251-476-5203,mobilebalfour@bellsouth.netor fax at 251-476-5205. The watches have been designed exclusively for the AHSAA officials program through Junior Davis and Associates. For style information and pricing, contact Danny Endress at 800-985-9912, Ext. 235 ordendress@juniordavis.com. These companies will confirm with the AHSAAall officials' appearances in these championship events. 2015 Arizona Football Officials Training videos. As a member of the National Federation of High Schools Officials Association, you are provided with an insurance package which includes, General Liability, Accident Medical and Accidental Death and Dismemberment insurance. This insurance package is provided to you as part of your membership dues. There is no additional fee. State and local officials’ associations who have 100% membership in the NFHS Officials Association. Assignors, instructors and rule interpreters who are currently registered with the NFOA are covered under the Liability Policy for claims involving bodily injury and property damage. There is no coverage under the Liability Policy for any other type of claim. Insurance coverage applies while the member is performing his/her officiating duties during a regularly scheduled sports or activity competition. The sport or activity must be recognized in that state by the member state high school association or by high schools that follow the state association guidelines. If the sport is recognized by the state high school association for men or women, the official will be covered for officiating that sport for both men and women. Officiating duties include chain crews and attending officiating camps, clinics and meetings. Coverage for officials extends, not only to high school activities, but also to college, independent youth, adult and recreational leagues. However, coverage is still limited only to sports recognized by the state high school association. Accident medical coverage only for direct travel to and from a covered activity. No general liability coverage. These benefit summaries are for illustration purposes only. For a list of policies provisions, as well as exclusions, please see the full policy. Many officials are required to show proof of liability insurance in order to perform their duties as an official. By clicking here you will be able to request a current certificate of liability insurance that, in conjunction with your current NFHS membership, will demonstrate that you are covered by the NFHS Insurance program. Claims Questions: please call 800-386-9183 and speak with Max Biggerstaff. Please Note: For Membership questions, please call the NFHS directly at (317) 972-6900.